Your clients are relying on you to deliver marketing dashboards and reports for data-driven insights. Your clients are in need of an advanced, intelligent marketing agency team to help improve their performance and scalability, which is why they chose you. And while you have the expertise for the behind the scenes work, you need a way to communicate the work you’ve done and provide your clients with a constant view into their performance. As we already mentioned, your clients picked you because you’re the best of the best. The best of the best don’t use static, generic reports… They use automated marketing analytics dashboards to power their reporting. Gone are the days of Marketing Agencies having to build and rebuild Excel sheets every time data changes; agency analytics reporting tools, like Klipfolio, give your clients and you real-time visibility into processes. Or… Try it for free! Klipfolio free trial lets you experiment with our platform and experience the power behind dashboarding software - whether you’re monitoring PPC data, marketing campaign performances, or tracking overall digital marketing efforts. Want to see who else uses Klipfolio as their report automation solution? 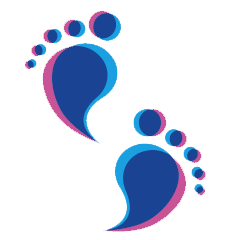 Our Partner Directory highlights all our partner clients and their various expertise. In this partner spotlight, we learn about how Livedata.Mobi uses Klipfolio to power their business. Anu Gupta, the company's founder, valued Klipfolio’s highly intuitive, yet versatile platform, which because of its cloud data accessibility, makes it easy to work with. This Tech Partner spotlight highlights Talkwalker, a social media intelligence platform. This is a seriously cool tool for social media and digital marketers. Check out they use Klipfolio to help their clients gain visibility to and understanding of their social media analytics. 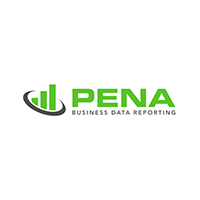 Anthony from Pena builds custom dashboards to help ensure all of his clients are on track to hit their goals and to help identify areas for improvement using Klipfolio. The Flinder team starts off with a strategy and business objectives workshop, to translate the client’s objectives and distill it across various functions within the business. 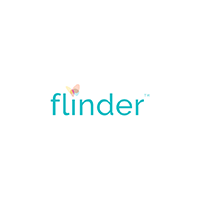 From sales activity to financial information and trends, flinder provides insight to help their clients meet their objectives. 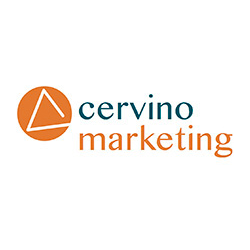 Erik van Dorp is the owner and CEO of Cervino Marketing, a certified Klipfolio partner based in the Netherlands. Erik believes that data can be impactful and captivating when it’s used to help tell the story of a business, which is something he strives for with all of his dashboards. 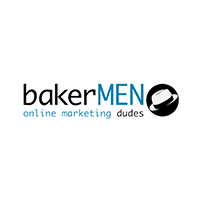 Tim Ceuppens is an Online Marketer at bakerMEN, a certified Klipfolio Partner from Belgium. His main focus is looking at what data they have available, assess who they need to reach, what they need to reach them, and how they’re going to put all of those things into play. 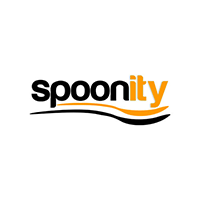 Spoonity is now a global company, with departments and team members located around the world. With such a big change, the team quickly recognized the need to track key metrics across departments and roles that were starting to become more formalized. The Spoonity team now uses Klipfolio to track metrics for sales, marketing, accounting, customer success, and onboarding. We help hundreds of Partner companies report to their clients every day. Working with Excel, Marketo, Google Analytics, AdWords, Search Console, HubSpot, Campaign Monitor? We have 100s of data connectors set up. What does this mean for you? You can connect to virtually any platform and pull in all your data with ease, no matter where your data is housed. Deliver fully customized digital marketing reports to your agency clients. With white label reporting, you can apply your branding (or your clients’ branding) to the product and deliver a unique, sleek, and automated experience to your agency’s client base. Klipfolio’s automated reporting software makes it easier for your agency to set up custom billing, resource and user allotment, and account status for your clients. That means no more fumbling around with those countless demands, price ranges, and capabilities. The platform also makes it easy for you to create commonly requested marketing report templates that can be deployed to any of your client accounts. Monitor anything - yes, anything - on dynamic, real-time dashboards. Whether you’re looking to monitor PPC trends, page and campaign traffic, areas for SEO improvement, etc., you can build a dashboard with a view to your client’s KPIs. Your clients are looking for better analytics and a better way to take care of their reporting; they are willing to let you take it over. This goes for potential clients too. By adopting solid reporting practices, you become an expert resource for these companies. With beautiful data visualizations in real-time, you can get a full picture view of how your clients are currently performing and what success looks like for them. This gives you the insights you need to develop and roll out a digital marketing strategy that will rock their world. With data on-demand, you have the ability to react quickly to changes in your client’s performance. This means, making changes to your digital marketing efforts in real-time, ensuring you always remain successful. Have dashboards automatically delivered on a schedule to your client's inbox without having to lift a finger. Your digital marketing campaign is awesome. So naturally, you want to share how well it is performing. Swap out your tedious manual reporting processes for automated reporting with Klipfolio. Klipfolio allows you to pull in data from all of the different marketing services you use to track your client performance—and display precisely what you need in a single interactive report or in multiple reports. What does this mean for you? No more piecemeal reports or spreadsheets with multiple versions. No more wondering if your data is up-to-date. Take control of the way you analyze your client data and tell your data story in a visual and compelling way. The fastest growing agenices understand the importance of being data-driven. Klipfolio enables you to create standard report templates or custom ones. Flexibility is the key to your success. Discover why agency data analyst rate us so high! Your clients data may be scattered in different places, so how do those puzzle pieces fit together? Use out-of-the-box, hassle-free connectors for hundreds of data sources, including spreadsheets, files, databases, and web services applications. No matter what you’re trying to do for your clients, we’ve got your back. If you’ve read any reviews, you’ll hear our support team is second to none. Still sending spreadsheets to your clients? You’ll improve your service offerings and their business performance by instead giving them direct access to beautifully visualized live data tracking the progress of your engagement. Psst here is a little secret, spreadsheets are still one of the most common datasources agencies use in Klipfolio on top of CRM, Social, SEO, SEM, PPC and web analytics app solutions. These blogs will help guide you in the write direction when it comes to building and managing your clients’ dashboards. The first instalment of the Data Driven Agency Series covers the 10 essential KPIs all marketing agencies should have in their arsenal. In the second blog of the Data Driven Agency Series, we dive into the 5 ways to build partnerships that last: ensure you and your partner are on the same page, align your skill sets, open communication and mutual respect, consistent communication, define who does what ahead of time. Look like a rockstar in the eyes of your customers. The third chapter in the Data Driven Agency Series covers the power of reporting on data with dynamic dashboards and the major metrics agencies should have on them. In the fourth chapter of the Data Driven Agency Series, we bring you both intangible (soft skills) and tangible tips for mastering the ultimate pitch, and, ultimately acquiring more clients. In this blog, we nail down the metrics each team member should consider contributing to reports, highlighting the strengths of everyones efforts. As a leading sales and marketing platform, HubSpot is an incredibly powerful tool. The power behind it grows even stronger when it's paired up with a custom dashboard. Learn how to work with the HubSpot API to build a world-class dashboard in Klipfolio! Dashboards are increasingly becoming a way for digital agencies to separate themselves from competitors and create better client experiences. Here are five marketing dashboards we recommend. Today's best digital marketing agencies know that showing quarterly results is no longer enough. Clients want real-time, east-to-understand access into what's working and what's not. Which KPIs are most important for marketing agencies? Here are 26 experts answering that exact question. Optimizing mobile website performance is essential. In this post we look at how you can develop some KPIs that will help your mobile website performance. Maintaining strong partnerships is crucial to a business’ success. Forming and nurturing partnerships that stand the test of time is a delicate process; one that needs our undivided attention. In this blog, we break down the 5 ways to make your business partnership last a lifetime. This blog covers the handful of key activities that will lay the groundwork for a rock solid client acquisition strategy, despite the challenges you are faced with as a marketer.